Font Options(FontAttributes, FontFamily, FontSize): Define the font options to the text of the RadAutoCompleteView. TextColor: Defines the textcolor of the component. SuggestionItemTextColor: Defines the highlightcolor of the selection items. 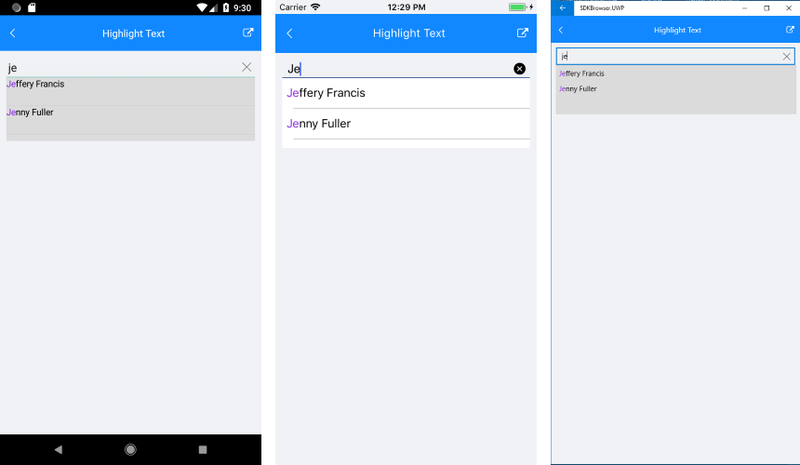 A sample HighlightText example can be found on the AutoCompleteView/Features folder of the SDK Samples Browser application.